Topa: My Way: Congratulations ma-man! Aejaz, my old college classmate got married.Congratulations to the happy couple. o my god! i'm so surprised to find this pic on ur blog! 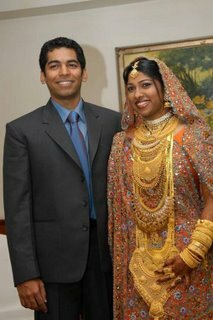 I got a fwd with this pic and the subject line was "marrying a gold-mine"! !